Famous Henrys are helping Santa this year at his request. 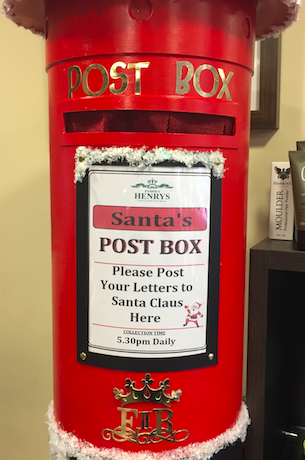 We have in each of our locations a “Magical Post Box” which as appeared. All the little boys and girls can send their letters to Santa to advise of what they would like to receive this Christmas. If you tell him your address, he will write back to you a reply.